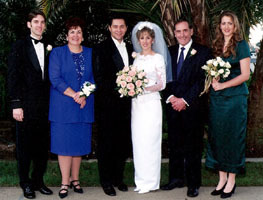 Bill has performed thousands of weddings all over Southern California over the last 30 years as a minister. Each of these weddings was special. Bill applies himself to each wedding as though it is the most important wedding ever held; and of course to the bride and groom it is. Accordingly Bill uses his experience and library of materials to create a memorable service according to the bride and groom's wishes.